Combine corn bread mix, eggs, and milk. Stir well. Add ¼ cup sour cream, chilies, corn, and cream style corn. Head olive oil in pan over medium heat. Once skillet is hot, drop cornbread batter in 1-2 TBSP at a time. Cook 2-3 minutes on each side, or until golden brown. 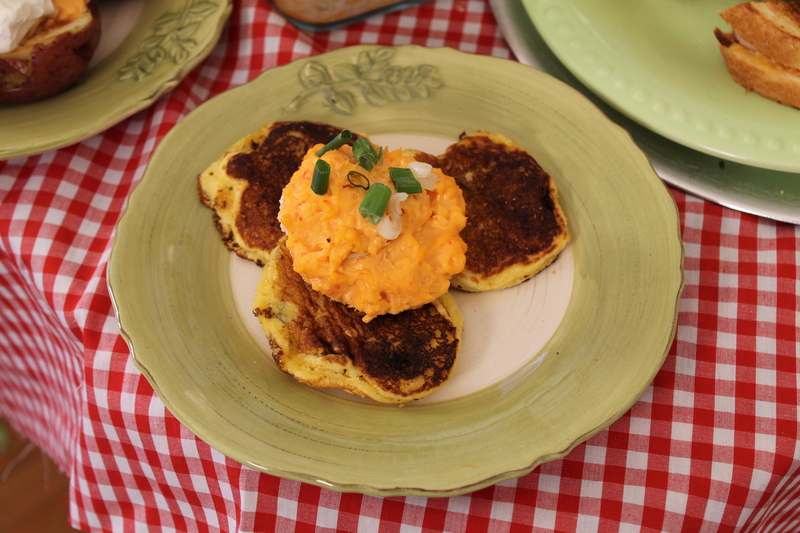 Top with spoonful of pimento cheese spread and garnish with sour cream, if desired.